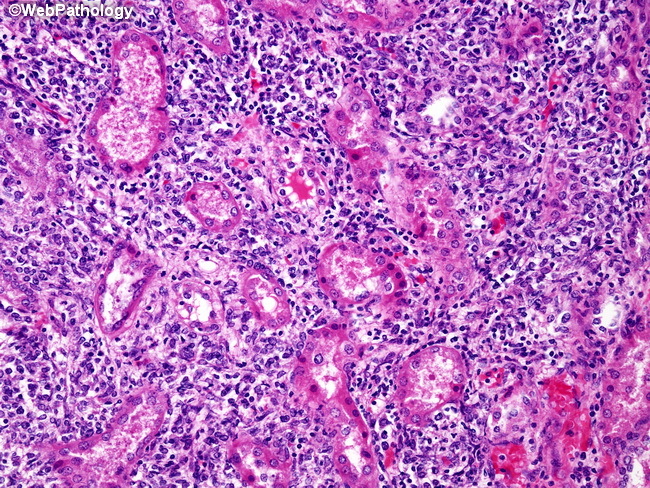 Diffuse large B-cell lymphoma involving the kidney. The tumor displays interstitial growth pattern and diffusely infiltrates in between the renal tubules. In many cases, diffuse renal involvement leads to renal dysfunction or even renal failure.